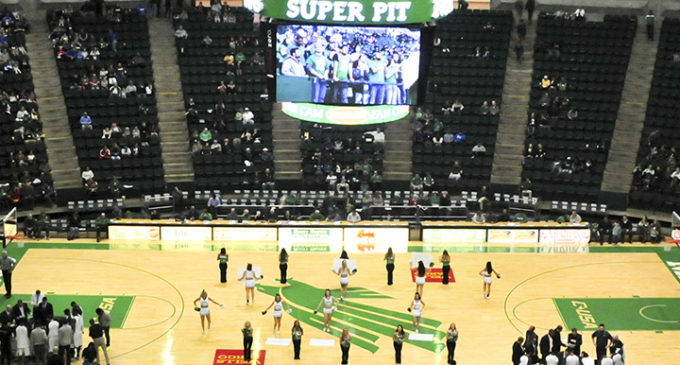 Sandwiched between a construction-filled Highland Street and North Texas Boulevard, the Super Pit has served as the home for the Mean Green men’s and women’s basketball teams since 1973. Entering the coliseum’s 42nd birthday, the university is exploring options to give it a long-lasting present. Smatresk has attended many Mean Green basketball games this season and has been surveying various aspects of the arena, from electrical qualities to infrastructure to cosmetics. He said everything short of completely tearing the Super Pit down is a possibility. 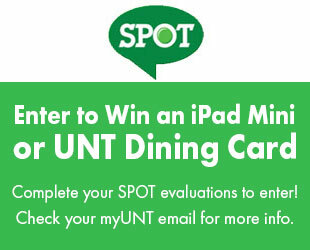 The Super Pit is home to more than just the Mean Green basketball teams. Every year, the arena hosts graduations, cheerleading camps, orientations and elementary school events that bring a high volume of traffic through campus. To many of these patrons, experiencing the outdated venue is oftentimes their first impression of the university. Athletic director Rick Villarreal said a master plan has to be in place before anything happens, but added the Super Pit needs to have a lasting impact on new campus visitors. “It’s a chance to make a great impression, whether we have a basketball game or not. That building needs to make a statement about the university,” Villarreal said. Enter President Smatresk, whose resume includes seven years at the University of Nevada at Las Vegas, where he oversaw a coliseum that hosted between 250 and 300 events per year. Smatresk said the Super Pit does not need a complete overhaul, but rather some touchups to keep it modern. For Villarreal, the first thing on the agenda is to improve both internal and external lighting. Internally, Villarreal said he would like to see a lighting system that both improves visuals on the court and adds to the production value of a game. Men’s basketball head coach Tony Benford said improved external lighting would be beneficial, mainly because fans have struggled finding the Super Pit in the past. Other amenities Villarreal suggested include expanding the concourses to add ticket booths and interactive zones for fans of all ages. In addition to suggesting touch screens that list Mean Green basketball facts, Villarreal said increasing interaction for children is something he’d like to see. But as previously mentioned, the Super Pit is about more than just basketball. Because the athletics department does not own the building, Villarreal said he would like to see funding come from other departments as well. Smatresk said one thing that is not on his agenda is increasing the number of seats. Benford said the university’s goal to improve the Super Pit speaks volumes to more than just Mean Green fans. Renovations to the Super Pit could bring in more money to the university. But Smatresk said giving the arena a makeover is about more than that.